Concrete Restoration Systems > Company News > Driveways > When is it too late to repair my driveway? 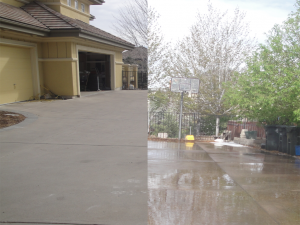 Identifying when your driveway is past repair versus resurfacing. Colorado’s winter brings frigid cold temperatures, which can be detrimental to a homeowner’s home though it is known for its gorgeous snow-capped mountains. Driveways are one of the most exposed parts of a home, which makes them prone to weathering damage like cracking and splitting. This can be very costly to repair and require a period of time to fix. As many of us know, homes often need repairing throughout the year. So, when is it too late to complete driveway repair homeowners? Waiting too long could be more costly and harmful to the driveway than thought…. The most simple answer is once winter rolls around, it is unfortunately too late, but not for all driveways. It depends on what it is made out of, as some surfaces naturally last longer than others. Some driveways are tougher than others and may need less repair and maintenance. Additionally, the amount of snowfall causing freezing and thawing can harm the concrete. The best rule of thumb to go by is to seal it every two-to-five years depending on its current condition. Homeowners, if you are unsure of whether it needs repairing, it is best to get it inspected by a professional for a quote. It is really important to start the repair process in the Spring or even the Summer. Homeowners planning to hire a professional for driveway replacement are advised to do it in the Summer versus Winter. Doing it in the summer will allow the concrete to settle and bond because the non-freezing temperature that winter brings will crack and split the concrete. This way the properties in the cement will have plenty of time to mend and bond together creating a very tight seal that ice and snow will have a hard time penetrating. If the driveway already has divots in it, freezing rain/temperatures will allow it to freeze and expand, creating more damage. The bigger the divot, the more cost to repair. For some homeowners, repairing or replacing their driveway may not be readily affordable, depending on the planned budget. In this situation, it is best to talk to a professional concrete company that specializes in this restoration and resurfacing process like Concrete Restoration Systems about what can be done to make repairs on a more reasonable and affordable budget. What if it is easier to mend cracks and divots with concrete mix poured over? Any homeowner can buy some concrete mix from their local hardware store that just needs some water added to stir it up into a paste to fill in the cracks. This process also requires special mixers that can cost upwards to $100. Take a look at the driveway and count how many cracks need replacing. More than likely, the driveway could probably use an extra layer to seal in the remaining repairs. Better to be safe than sorry. 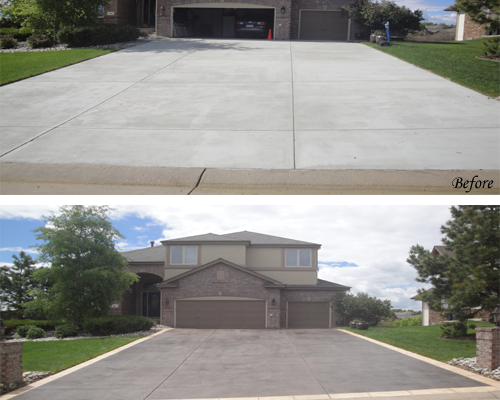 Homeowners, if you want to get your driveway redone because of cracks in the pavement or even just smoothed out again, give Concrete Restoration Systems a call and see what they can do for you. Getting this process done in the Spring or even Summer before colder temperatures hit in the Winter will be very beneficial in the long run. 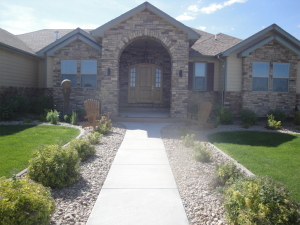 Whether it be new concrete with any choice of stain or simply resurfacing your current concrete into a beautiful cornerstone that will increase your curbside appeal, CRS will beat any price of replacing your concrete.